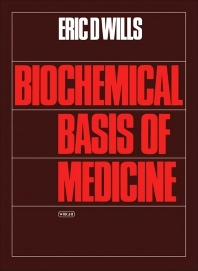 Biochemical Basis of Medicine discusses academic biochemistry and the applications of biochemistry in medicine. This book deals with the biochemistry of the subcellular organelles, the biochemistry of the body , and of the specialized metabolism occurring in many body tissues. This text also discusses the various applications of biochemistry as regards environmental hazards, as well as in the diagnosis of illnesses and their treatment. This text explains the structure of the mammalian cell, the cell's metabolism, the nutritional requirements of the whole body, and the body's metabolism. This book explains the specialized metabolisms involved in tissues such as those occurring in blood clotting, in the liver during carbohydrate metabolism, or in the kidneys during water absorption. The text explains toxicology or biochemical damage caused by excess presence of copper, mercury, or lead in the body. Chelation therapy can remove these toxic metals. This book describes the effects of alcohol on plasma liquids, the multistage concept of carcinogenesis, and the biochemical basis of diagnosis. Diagnosis and treatment include the determination of typical enzymes found in the plasma, tests for genetic defects in blood proteins, and the use of chemotherapeutic drugs. This book is suitable for chemists, students and professors in organic chemistry, and laboratory technicians whose work is related to pharmacology. 13.1 Introduction: Why Eat Fats? 20.1 How Does Man Utilize Amino Acids? 38.1 Introduction: What is Cancer? 38.4 How Do Carcinogens Gain Access to the Body? 43.3 Why are Chemotherapeutic Drugs Effective?